Simply put, not every product that needs to be hauled is a liquid. Therefore, there may be no aspect of our business with a greater variance and demand for specificity than what is transported via dry bulk / pneumatic trailers. We are literally talking about a field that spans from delivering sand to construction sites to delivering flour to bakeries; would you feel comfortable eating bread baked from ingredients delivered in the former's truck, or trusting the foundation of your house to materials delivered from the latter's? Of course not! 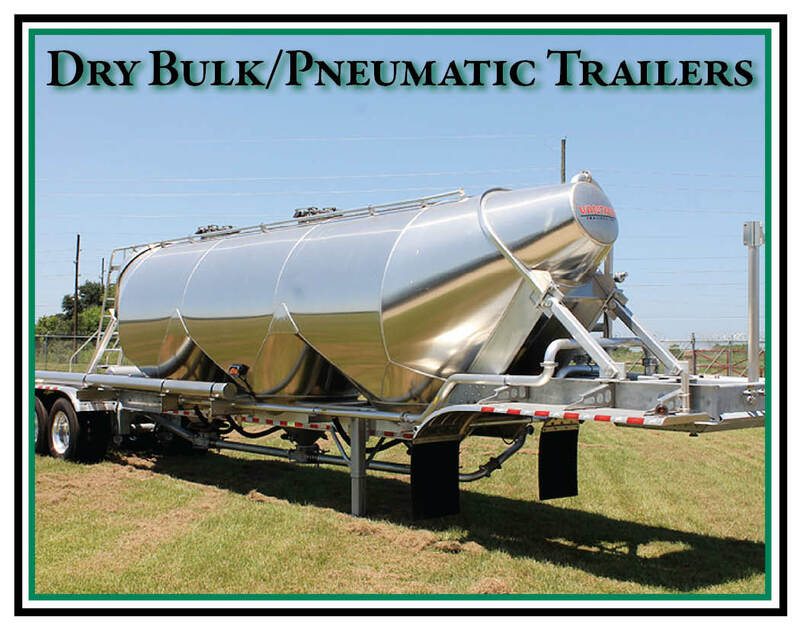 Whether you need to deliver food products like flour and sugar or construction materials such as sand or calcium carbonate, Tank Services, Inc. will make sure YOUR business gets the RIGHT dry bulk / pneumatic trailer for YOUR needs ... for the sake of your customers, and therefore the sake of your business.